New people in new roles at APCO, Milk & Honey and Pagefield; Julian Rea launches an agency; Porta and SEC consider merging; and MMGY makes an acquisition. LONDON — APCO Worldwide has bolstered its UK-based team with three new hires — Burhan Al-Gailani, Amy Selman and Maram Alkadhi. Al-Gailani, most recently head of public affairs for Brands2Life, joins as a director and will help lead its UK public affairs team. Amy Selman joins as associate director after serving as a policy adviser to the former UK Minister for London. Maram Alkadhi, an associate director, joins from H+K Strategies in Riyadh. LONDON — Former CitySavvy managing director Julian Rea has launched Liminal, a new communications consultancy based in London working with financial services sector firms across Europe. Liminal is focused on providing strategic communications support to the full spectrum of financial services brands, from global asset managers to emerging disruptors, and everything in between. The launch comes after completing the acquisition of CitySavvy’s UK business, where Rea worked for more than a decade. The full roster of clients represented by CitySavvy in the UK has transitioned to Liminal, along with the London team. 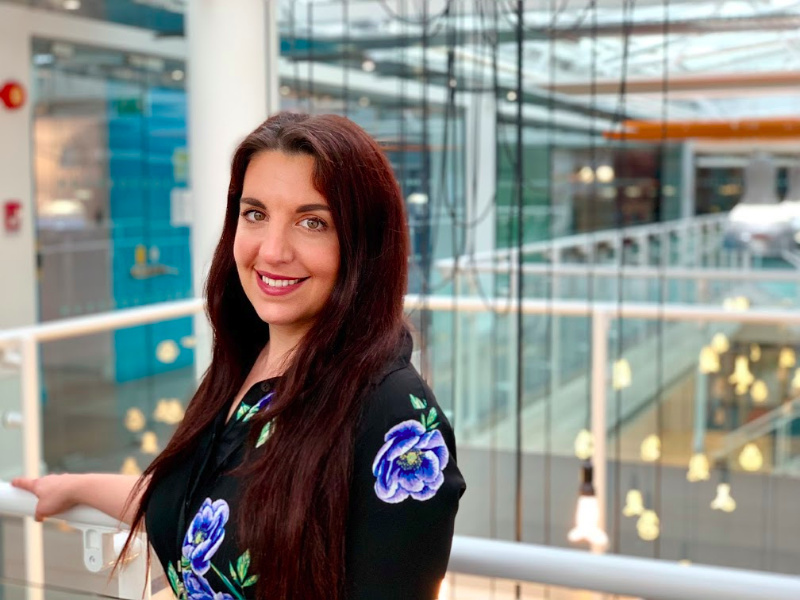 LONDON — Francesca O’Connor has joined Milk & Honey PR as an associate partner, leading a creative and consumer-based offering. O’Connor (pictured) most recently worked at Popcorn PR, and brings industry experience from Edelman, Brands2life, and Ketchum. LONDON — Porta Communications and SEC are considering a full-scale merger, which would further an already existing relationship between the two companies. A merger would boost both Porta and SEC’s ability to serve clients by expanding geographical reach and capabilities. SEC, which runs a partnership of agencies, has been a major investor in Porta since 2017. MACCLESFIELD — Managed services provider ITEC Group has hired PR agency Context for initiatives focusing on the expansion of the brand to include IT management as well as their existing managed print services. Context will be responsible for delivering a comprehensive media relations campaign, promoting new and existing partnerships, product enhancements and building ITEC’s profile across sector verticals. LONDON — Pagefield has strengthened its public affairs offering with the appointment of Southwark Council Deputy Leader Rebecca Lury as a partner. She joins from communications consultancy GK Strategy where she was a director overseeing the strategic communications division of the business and reported directly to the CEO. She has been a Labour councillor in Southwark since 2012 and is currently deputy leader and cabinet member for culture, leisure, equalities and communities. LONDON — MMGY Global has acquired Digital Spring, an advertising, content and media solutions agency for travel and tourism brands. The move enables MMGY to offer clients full media services across both digital and traditional channels in Europe, as well as a suite of proprietary media products that target specific UK and European travelers.